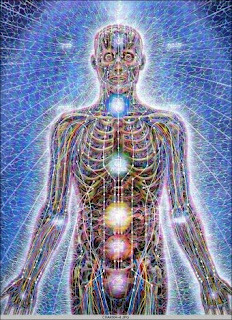 pseudoparanormal: The truth behind human energy fields. I know personally more than a few people who base their lives on positive energy. Release positive energy and good things will come. Now I feel strongly myself that positivity is one of many keys to having a good life, but how much truth is there behind human energy fields, and what they actually do? First off, there are various health care methods such as Reiki which use this energy for healing benefits. Reiki, however, is neglected by present day scientists and biomedical engineers. This in it self shows that it might just be more mentally than physically helping. Now, in the past 20 years it has be absolutley determined that humans have an energy field, along with other organisms and anything with an electrical current. The question is what is the significance? Some studies say more research can help to understand life, disease, and healing much more thoroughly. Some say when you are feeling sick it is just your energy levels off by a bit. In this day and time, it seems as some scientists put it, to be considered the new frontier of medicine. So all in all, this seems like a topic to keep an eye on in the near future. We know they are there, now how do we use them.